We went to Lau Heong which is just 5 minutes walk from my mum house. 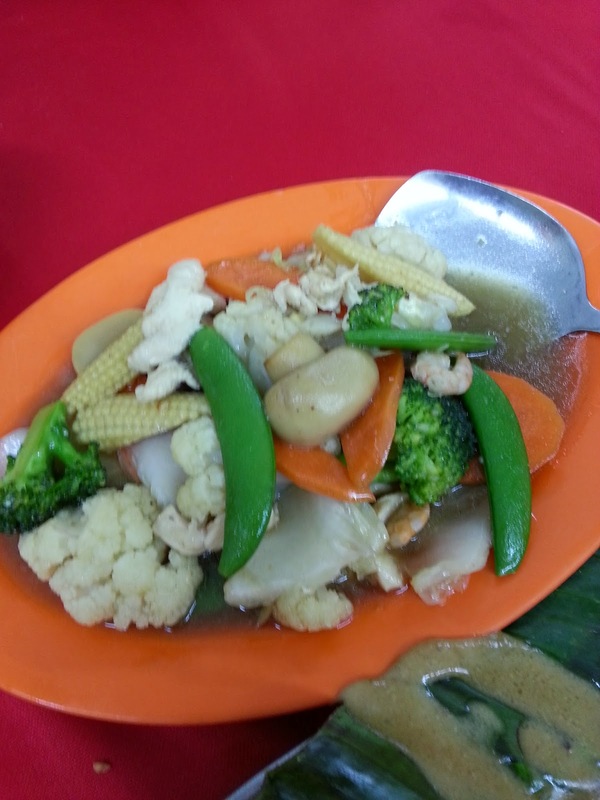 Located inside Bandar Baru Sentul, this restaurant is our usual spot for dinner and lunch. You can make early reservation to avoid disappointment. We came here for the Chinese New Year dinner and ordered the Yee Sang. 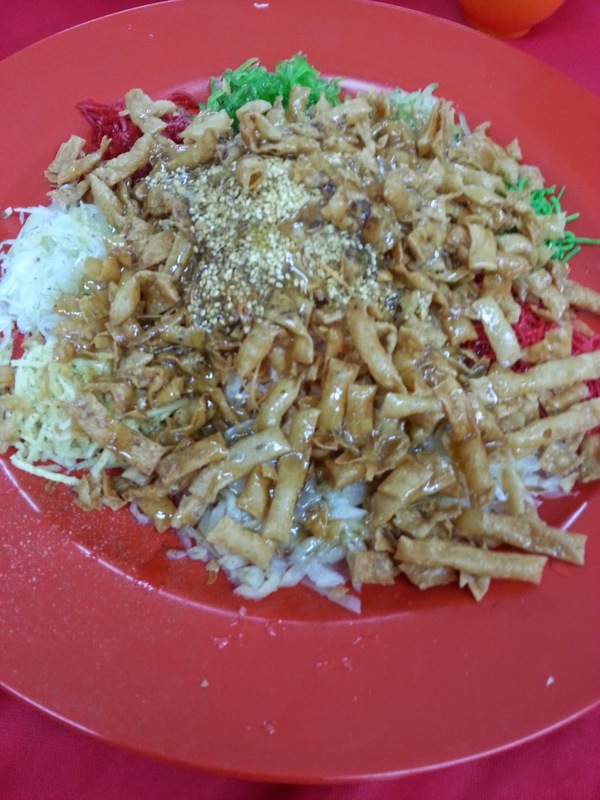 The yee sang is average. I find it too sourish and not crispy enough. 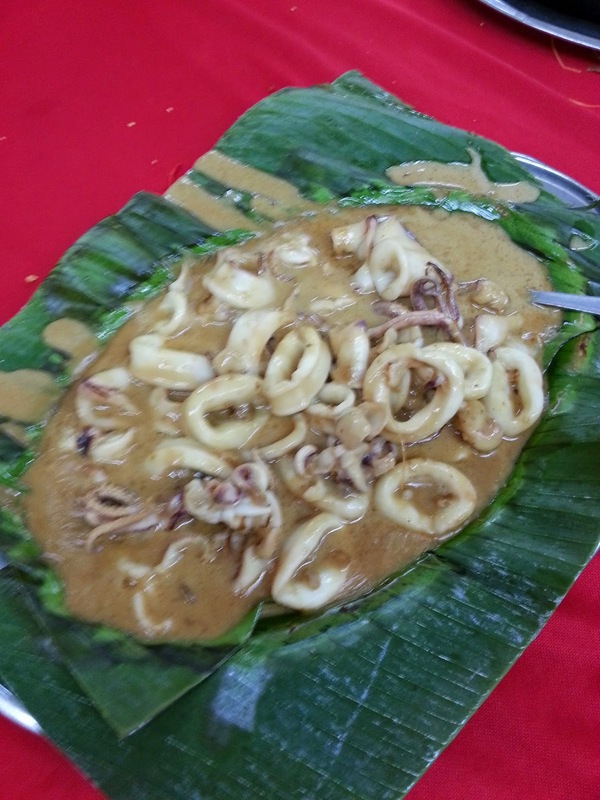 One of their signature dishes. You can choose to order the curry head fish / curry fish meat. I will prefer the fish meat. 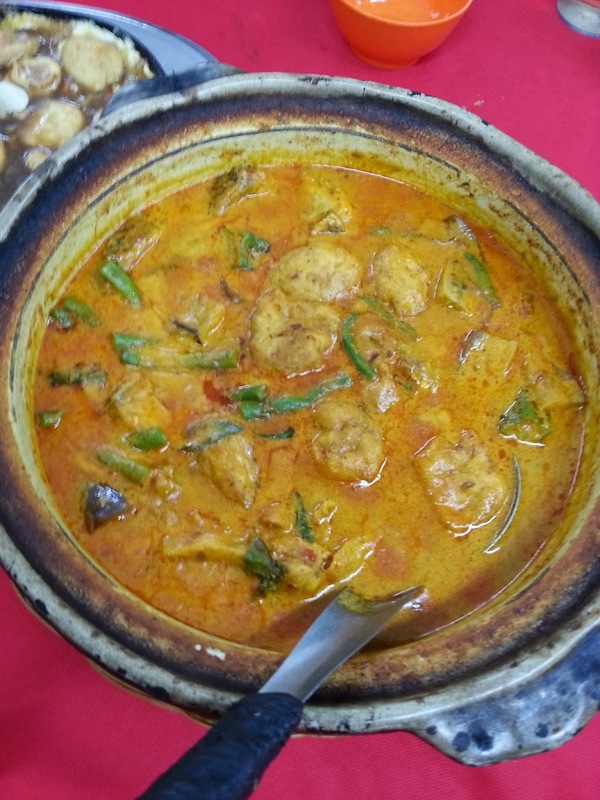 The curry is packed with the aromatic flavor of santan and the broth is thick. Perfect combo with the rice and spike up my appetite! 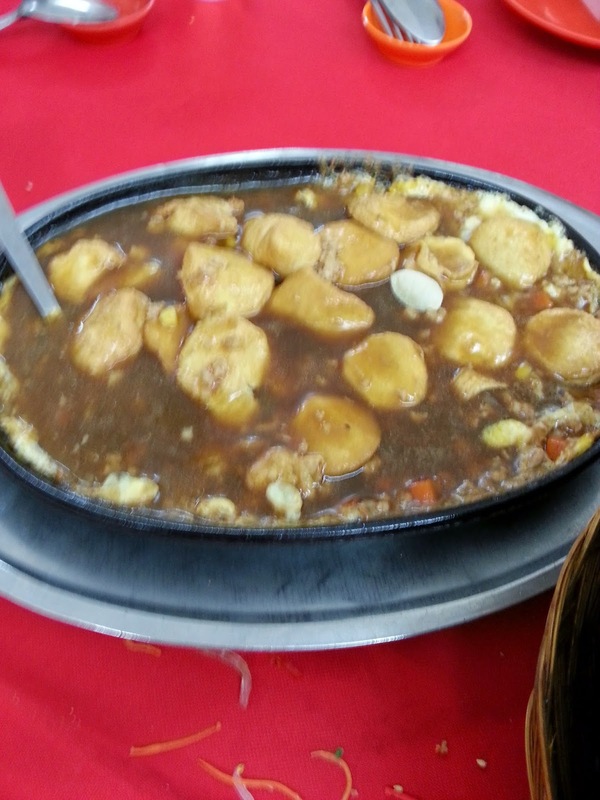 A hot plate taufu is suitable for the kids. The taufu is fresh and very smooth. Portion is reasonably fit for three person servings. 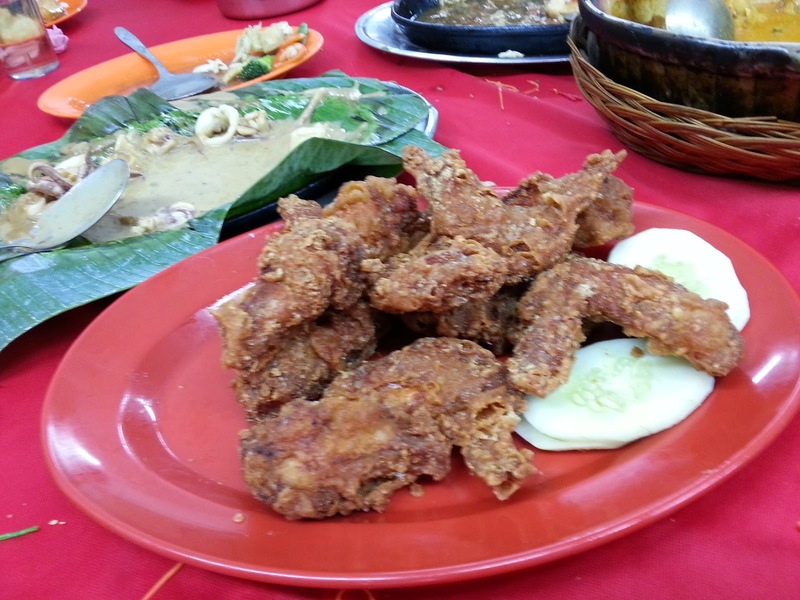 My favourite Nam Yu fried chicken .Extremely crispy and the chicken meat is superb juicy. 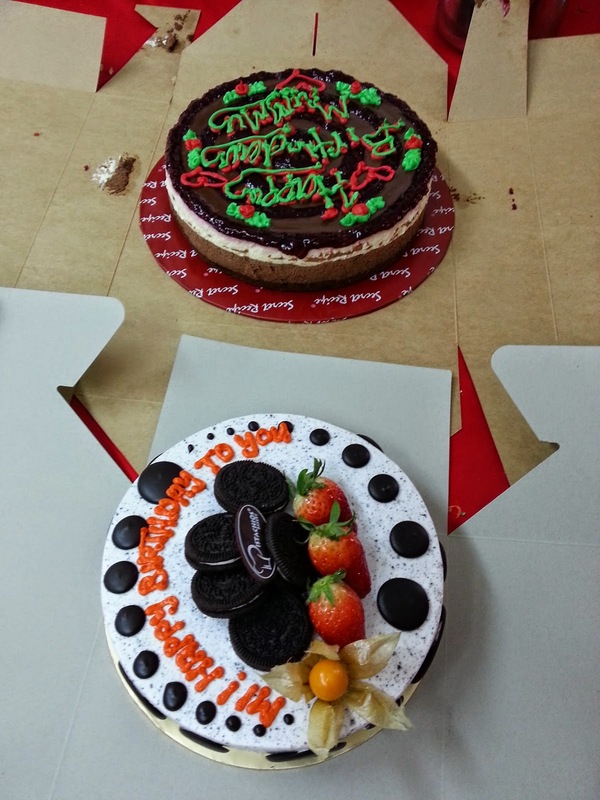 Double cakes specially for mum birthday..the kids get so excited instead. Always the best place to have a simple, delicious, quick and affordable meal here in my housing area.